Photo Gallery #765: Click edit pencil to get the selected gallery name. 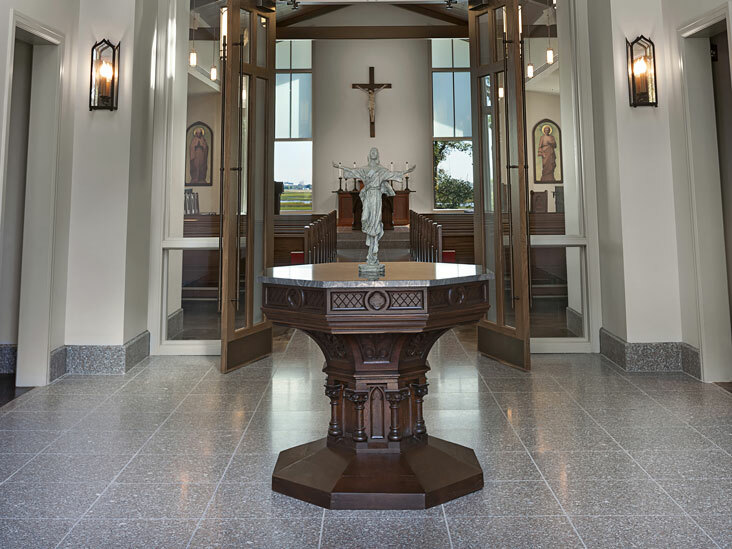 The lighting in a new chapel on the grounds of the Catholic Diocese of Charleston was designed to harmonize with its “lowcountry” architecture. 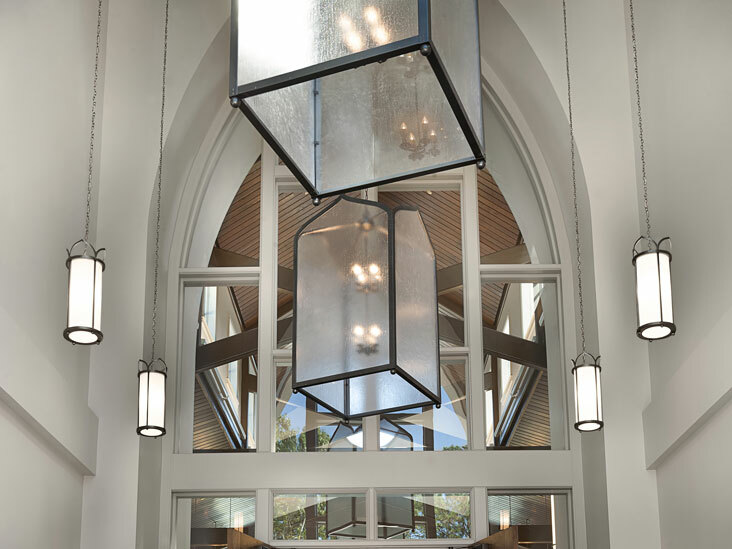 Two sizes of cylindrical pendants feature subtle arch elements that echo the building’s windows. 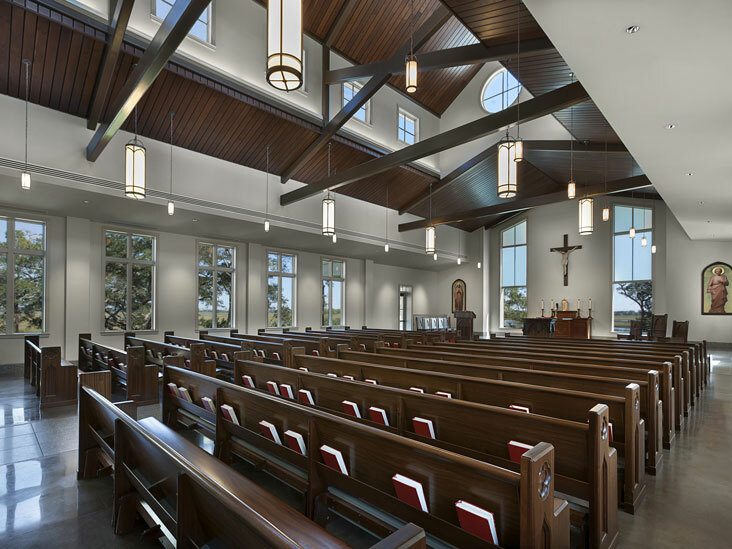 Large seeded glass pendants in the narthex also incorporate the arch design.